Over 40 years ago, Donald Soffer had a vision to turn 785 acres of South Florida swampland into what is now known as Aventura. Originally called Turnberry, which is now associated with luxury and unparalleled service, he decided to rename the area Aventura- which was Spanish for adventure- which was just the precipice of what he was about to embark on. After draining the swamps, what was to ensue became the renowned Aventura mall, and a large scale condominium development unit encompassing nearly 24,000 units turning a healthy profit of an initial investment of land purchased at $5,000/ acre to plots over $2 million/ acre in 1981. Today the entrepreneurial foresight was passed from father to son as Jeffrey Soffer has earned his recognition as one of the country’s most highly regarded real estate devlopers. 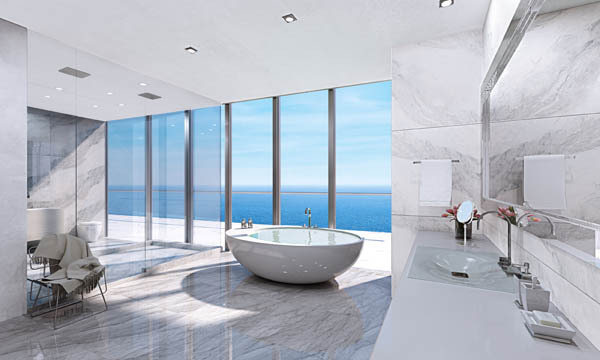 As CEO of Turnberry Associates he has led the $1 billion expansion of the Fontainebleau Miami Beach and created some of the most prized residential spaces including the luxurious Turnberry Ocean Residences. Also on his team is Dan Riordan, the president of residential development of Turnberry Associates, who has been with the company for over 18 years. With a career spanning three decades, the accomplished salesman has sold more than 3000 condominium units which has a total value of $2.5 billion. One of his proudest moments was developing the Turnberry Tower Arlington, currently the tallest condominium on the Washington DC skyline. 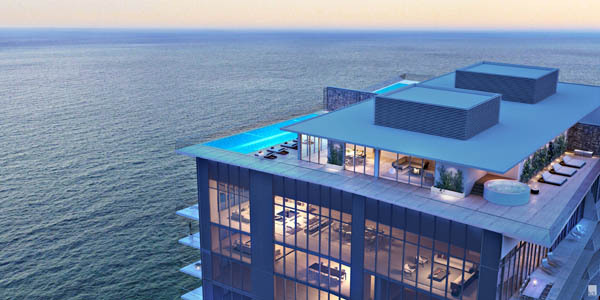 The $350 million, 30-story luxury apartment has completely sold out. With DC in his pocket, Roirdan has set sights on new horizon. 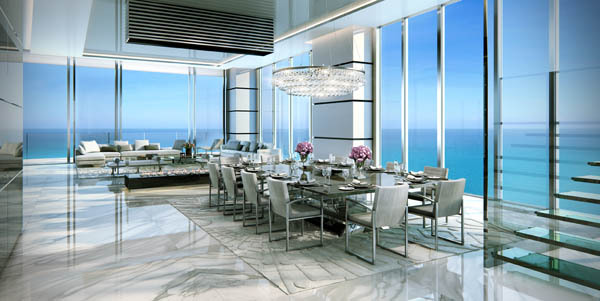 Turnberry hired award-winning architects Carlos Zapata and Robert Swedroe to design ocean club residences that includes a three-story lobby which provides a breathtaking view of the ocean. The single tower site has a total of 154 residences each equipped with a family room and staff quarters with a full bath and closet. In addition to this, residents can soak in the sun while barbecuing on the ocean front terrace. 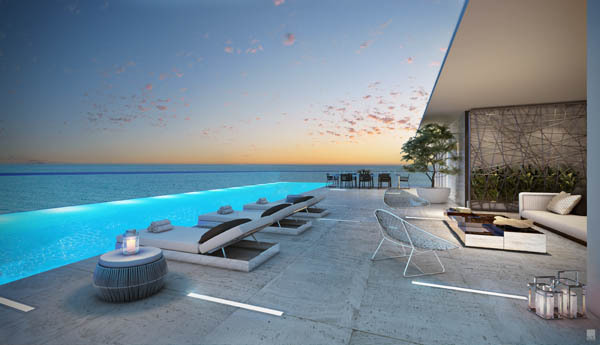 Duplexes and triplexes in the 54-story glass tower are equipped with a pool but residents are more than welcome to enjoy the amenities of the sky club, the brain child of Turnberry and Zapata. The condominium has over 70,000 square feet of amenities but more than half are in the sky club section. 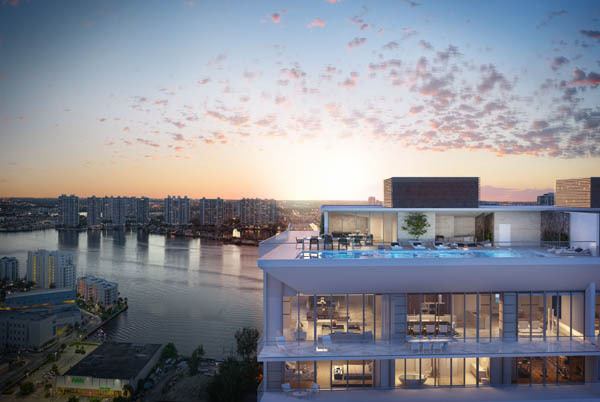 With three stories of amenities, including a nail and blow-dry spa, an outdoor pet retreat and an outdoor sky theatre area, occupants are offered first class amenities at their disposal, where quality, luxury, and exceptional service are the hallmarks of the Turnberry brand. The architects certainly have not neglected workout fanatics. The sky club is equipped with a yoga and pilates studio and two gyms. Situated 333 feet above the sea, residents can work out to an oceanfront view at the indoor fitness center or choose to exercise at the open-air gym. After an intense workout, residents can enjoy some down time at the hydrotherapy spas. For others who enjoy a game of tennis or golf, Turnberry is paying for the initiation fee and the first year’s dues to the prestigious Turnberry Isle Resort and Golf Club situated minutes away from the residential tower. With two Raymond Floyd-redesigned championship golf courses and Canas Tennis club three pools including a lagoon-style pool with waterslide and lazy river, three-story Spa & Fitness Center, and a private beach club, the club has amenities for people of all ages to enjoy. After a day of fun in the sun, the family can come together to enjoy a sumptuous meal at celebrity chef, Michael Mina’s steakhouse. While construction is not complete until 2018, the condominium is already 25 percent filled. If you’re looking for a fantastic apartment with an oceanfront view and top notch facilities, Ocean Club Residences is calling your name. The condominiums prices start from $4 million but duplexes range from $20 million to $35 million.